The range of illnesses and conditions that benefit from ozone therapy is extensive. Ozone benefits the body via immune modulation. For autoimmune conditions inflammation can be reduced. For cancers and infections the immune system can be stimulated to fight. Ozone can be introduced into the body in many different ways to benefit inflammatory, infectious and autoimmune conditions. Oxidative medicine (also called ozone therapy) is a powerful alternative treatment without the side effects of drugs that can cause new damage to your body. 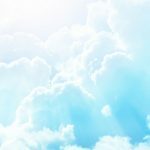 Howard Liebowitz, MD, Clinical Director of Liebowitz Longevity Medicine in Santa Monica, California, treats patients with ozone therapy, which promotes fast healing with positive results. Call or book an appointment online today for alternative treatment that doesn’t involve pharmaceuticals. Ozone therapy is a non-pharmaceutical option used to treat infections, wounds, inflammatory conditions and some forms of cancers.It’s a popular European method of treatment that’s been in use for more than a century. Physicians used it to treat infections before the discovery of antibiotics. Now with the emergence of “superbugs” resistant to all antibiotics, interest in ozone therapy is growing again. What Health Conditions Does Ozone Therapy Treat? Ozone treatment has proved helpful for a wide variety of infections (e.g. shingles, herpes), autoimmune (e.g. fibromyalgia), respiratory (e.g. bronchitis), digestive (e.g. Crohn’s disease, ulcerative colitis), and heart conditions (e.g. heart attack) as well as for wound healing. What are the Benefits of Ozone Therapy Compared with Traditional Treatments? The primary benefit of Ozone therapy is modulation of the immune system. Inflammation is decreased, which is must needed in autoimmune diseases and the immune system is “upregulated” to help fight infections and cancer. It can also help promote tissue healing after injuries or surgery. Ozone is commonly used today to sterilize operating rooms and equipment as well as to sanitize jacuzzis and swimming pools due to its toxic effect on bacteria and viruses. Safe: Ozone therapy has a proven safety record. Treatment with ozone gas does not have side effects as do prescription drugs, which can cause severe, irreversible organ damage and other deleterious effects. Painless: Patients with tiny veins can receive direct IV infusions without pain. Promising: Experimental use of ozone gas injected into the spine aids pain relief from herniated disks in a significant percentage of patients. Some researchers say that it could become standard treatment in about five years, revolutionizing treatment for disk pain. Effective: New high-dose ozone treatments are capable of treating up to one-third of the body’s circulating blood volume in one session. Benefits can last for months with no drugs. The new high-dose therapy stimulates the release of stem cells from the bone marrow, thus promoting fast healing. Preventive: High dose hyperbaric ozone is also being considered as a preventive treatment, by intermittently( two or three times per year) stimulating the immune system and releasing stem cells, there is interest that it could help prevent illnesses and promote healthy tissue restoration. Methods of treatment vary. Hyperbaric ozone infusions involve ozone added to the blood collected in a special pressurized bottle. The ozonated blood is then returned to the patient and repeated up to ten bottles for a total of two liters of blood being ozonated under pressure. The number of bottles can be adjusted based on the patient’s condition from three up to ten bottles per session. Multiple sessions can be performed per week with no risk of unwanted side effects. Rectal and bladder infusions add ozone directly into your body cavity where the inflammation exists to treat crohn’s, colitis or interstitial cystitis. Ozone therapy can also dramatically improve topical treatment of wounds and burns or be directly injected into joints with great success, known as prolozone.